Flavored with allspice, cinnamon, and spicy pepper, Jerk Seasoning is perfect for a multitude of dishes. Make your own spicy Jamaican Jerk Seasoning at home and use it to spice up your wings and chicken dishes! Brooks and I also made sure to try all the included cocktails and after an unfortunate Bloody Mary binge, Brooks had to spend quite a bit of time in the bathroom. I scaled back on the tomato-based drinks but kept trudging on with the food and once I tasted their Jamaican Jerk Chicken, I was hooked. 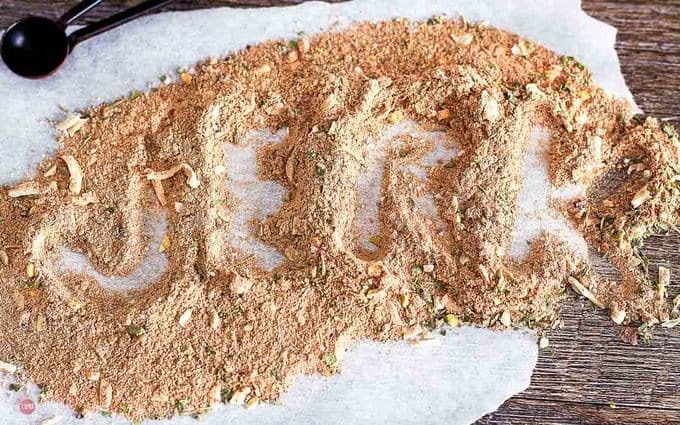 What is Caribbean Jerk Seasoning and why is it so freaking delicious? Just take me to the Jerk Seasoning Recipe Already! If you’d rather skip my (very helpful, I think) tips and tricks, essential cooking info, and similar recipe ideas – and get straight to this delicious easy Jamaican Jerk recipe – simply scroll to the bottom of the page where you can find the printable recipe card. I had always been scared to try Jamaican Jerk Spice because it contains allspice, cinnamon, and hot Scotch Bonnet peppers which I believed to be hotter than Habanero peppers. You guys know that I have not been a fan of cinnamon in large quantities, or on anything savory, and allspice has a strong flavor too. 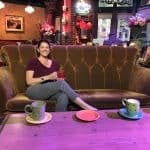 My palate is dull from all the sugar I was eating, and once I had my stint with the paleo diet, I grew to love it. Cilantro still tastes like soap if I eat too much of it at one time, but cinnamon, ginger, and allspice are now friends of mine. 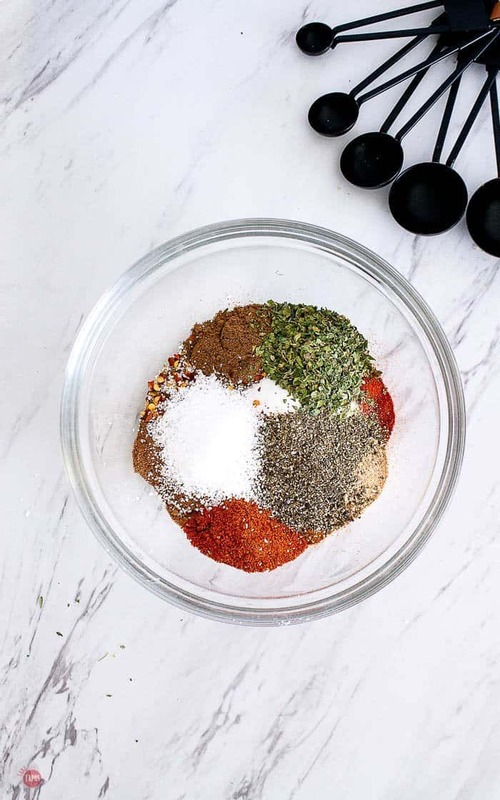 Even thought the Jerk Seasoning contains these few spices that I am not keen on eating, having them in combination with other spices and herbs tempers their individual qualities and enhances the flavors of the other ingredients to make a perfectly balanced spice mix. What spices are in Caribbean Jerk Seasoning? Jerk seasoning is built around two mainstay ingredients found in the area, allspice and Scotch Bonnet peppers. Both of these are now readily available all over the world but still hold the greatest influence in terms of the authentic Jerk recipes and overall flavor profile. The Scotch Bonnet pepper is similar in heat to the Habanero but depending on where the peppers are grown, along with climate and other environmental factors, the strength and flavors can vary greatly from pepper to pepper. So use with care! The other spices that are typically found in jerk recipes include: cinnamon, nutmeg, ginger, salt, brown sugar, cloves, and thyme. The sweet spices like allspice and thyme mix well with the hot peppers and ginger making this Jamaican Jerk Rub a sweet heat that everyone will love! Having seen quite a few Jerk recipes on Pinterest lately, I decided to give it another shot. My version of Homemade Jerk Seasoning doesn’t have as much heat as some of the other ones I have tried so it can be used by more people but feel free to add as much heat as you like. I substitute dried jalapeño, cayenne, and red pepper flakes to make up for not using Scotch Bonnet Peppers. If it is too spicy for you, feel free to cut back or eliminate these. I have not been able to find dried Scotch Bonnets, but if you do please let me know! Jerk recipes can be made “dry” or “wet” depending on how you like them. The “wet” version is more of a marinade that the meats are soaked in for a few hours and then basted or “sopped” on the meats during the cooking process. The “wet” Jerk marinade can be thin or more of a thicker “paste” that is smeared on the meats prior to cooking. This “wet” version usually contains garlic, lime juice, scallions, and the fresh Scotch Bonnet peppers but I leave these out for the long term storage factor. Q: Can I leave out some spices that I don’t like? Q: How long does the spice mix last? A: If you store it in a cool dry place it will last a few weeks in an airtight container. Q: Can I use it to make a marinade? A: Sure thing! Mix it with olive oil, lime juice, fresh garlic, and green onions, and pour it over your meat. Let it sit for a few hours or overnight and then cook your meat as planned! Q: Where do you find dried jalapeño? A: I use the ground version of jalapeño but feel free to use the dried jalapeño flakes if you prefer. The dry version that I have made here is very similar to authentic and can be used by sprinkling on the meats and vegetables. Because it is a spice rub, I just sprinkle in on the food, pretty liberally, and after grilling and smoking the meats or vegetables, the jerk rub forms a crispy “crust” on the outside of them. 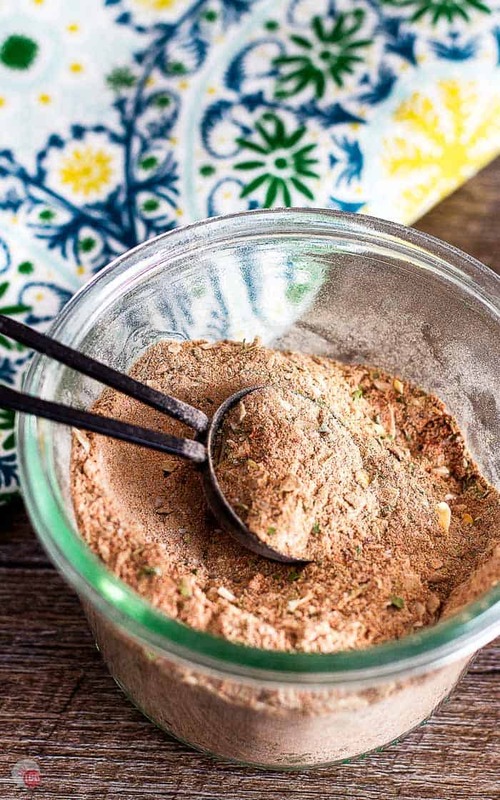 Now you can always make a wet marinade out of this recipe by adding the lime juice and other fresh ingredients and then dust the meat with the dry rub right before adding to the heat. 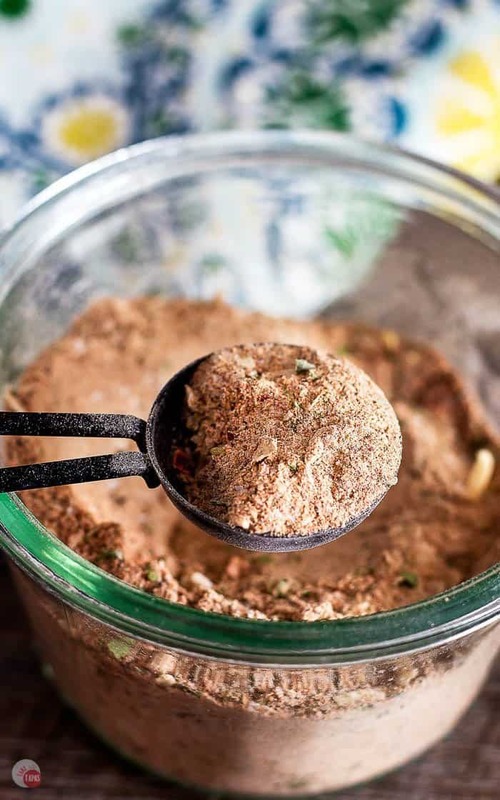 This recipe makes about 1 cup of the Homemade Jerk Seasoning mix, but it will last for a few months in your spice cabinet. Don’t worry, you will use it up before then! 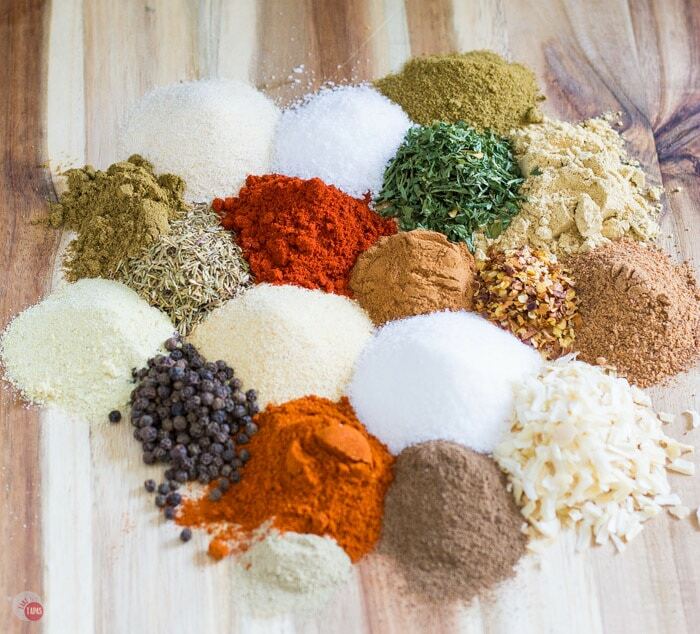 Other great Spice Mixes to try! 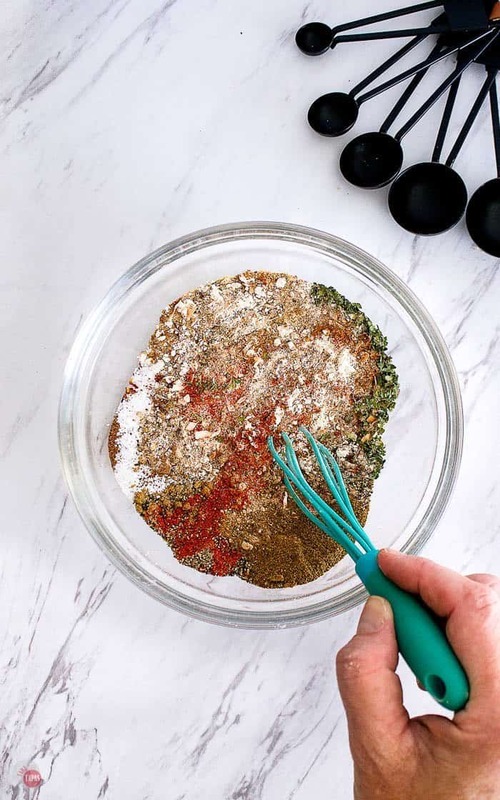 If you love this Easy Jerk Spice Mix Recipe as much as I do, please write a five-star review, and be sure to help me share on Facebook and Pinterest! Mix all the ingredients together and store in an air-tight container in a cool, dark, place. *If you like this recipe, comment and rate it with some stars. Thank you! I’m thinking of trying this on some boneless pork ribs! Sounds amazing! For the bouillion, is Knorr Chicken flavor OK to use? Or do you recommend a certain brand? THx!! I prefer to use the chicken when I make spice blends because the beef tends to be overpowering to some when used this way. But definitely use what you prefer or what you have. I always use Wyler’s unless I am adding it to a liquid and then I use Better Than Bouillion paste. Thank you for reading and let me know how they turn out! 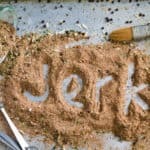 Absolute best recipe for jerk seasonings that I’ve seen! It tastes amazing! This looks so good. Your pictures are wonderful, I feel like I can smell the spices.